The holiday, meant to be a reflection and celebration of the birth of our Savior, has become such a clustered, crazy busy time of year, with everyone rushing around shopping, cooking, baking, cleaning, decorating, etc., that we often lose such reflection amidst our celebrations. Please take some time this week to remember Who is behind the reason we do all of this. Enjoy your time with your friends and families; enjoy the food and laughter; but enjoy the Purpose of it all: Jesus. Without Him, we would have nothing. 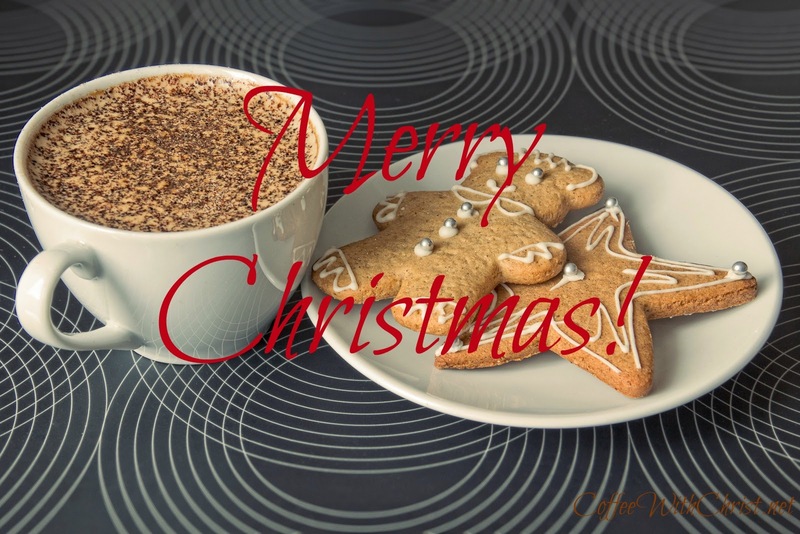 We want to wish you a very Merry Christmas, safe travels and His Peace this season as you celebrate His day. Christmas is the season for giving; to let others know that you care. It’s the season where generosity and love spread farther than any other time of the year. I absolutely love this month. 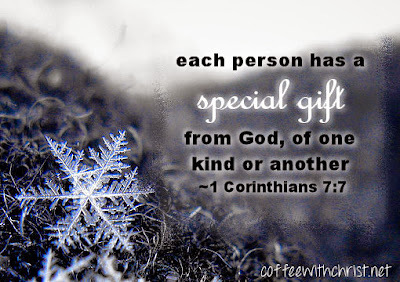 No matter religious (or nonreligious) beliefs, it seems that almost everyone gives of themselves during this holiday; and typically in ways that they don’t throughout the other eleven months. And that is what it’s about. What better way to show our Christ to people than to give; time, gifts, love? But let us not forget that He is the reason we do any of this. He gave up His throne, to be born a man, to give His entire life to serve others, to die sacrificially for us. There is no greater love. (John 3:16; John 15:13) So, may I suggest that you add one more Person to your shopping list? It won’t cost you anything financially; though the sacrifice will be greater than anything else you’ve ever done or given… Add Jesus. He purchased your soul for you. (1 Corinthians 6:20) Give Him something in gratitude; in love. Is this really something to fuss over? 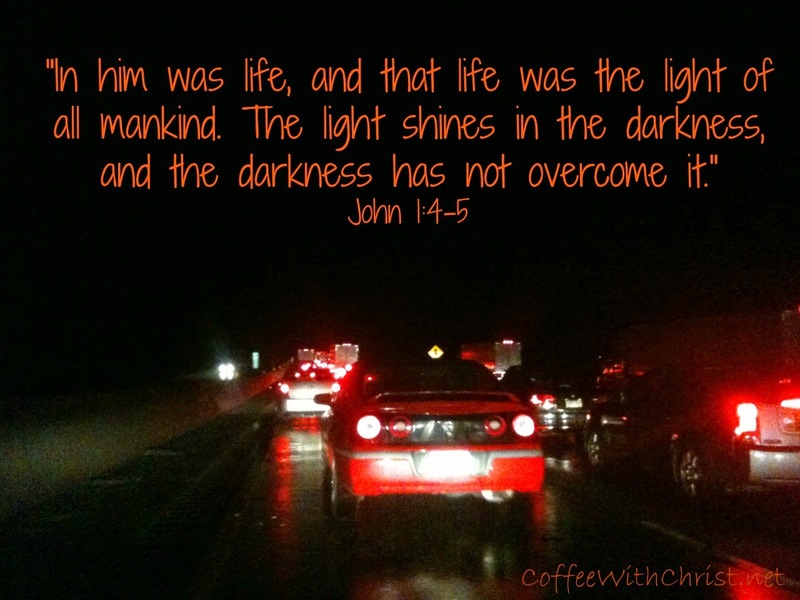 Are we taking our Christ too far, and losing sight of Him in the process? Honestly, I don’t see the problem if someone wishes me something other than “Merry Christmas”. Firstly, the point of this whole holiday season is about love, right? So, I for one feel blessed that people want to wish me some form of love. Secondly, what if they don’t celebrate Christmas? They don’t know what my beliefs are, nor do I know theirs. Personally, I won’t be offended if someone wishes me a “Happy Hanukkah”, because that (my assumption) is their religion. My response could be the same back to them, followed by a “Merry Christmas”, acknowledging my own religious belief. How is this offensive? I don’t see how I am being very loving by throwing a fit over what greeting they spoke to me. And if I’m crying about offensive political correctness, I’m not being very Christian. Jesus Christ is Love. (John 3:16) He was/is the ultimate embodiment of Love. (John 15:13) And I’m supposed to be representing Him to others. So- how am I being loving by getting offended by others offering me a different holiday greeting? I absolutely believe we should keep Christ in Christmas. But I mean the ‘we’ to be Christians. Why should we force our Christ on unbelievers? That to me is not very Christ-like; and no wonder unbelievers get so angry. If I don’t want them shoving their (un)beliefs down my throat, why should they be okay with me shoving my beliefs down theirs? Proclaiming and promoting my Christianity isn’t the way to win someone over; loving them is (I shouldn’t have to tell you I’m a Christian, you should be able to tell it by the way that I live…). When someone meets me, whether it’s at Christmastime or some other time of the year, how I carry myself and the words that I say (or don’t say), and the actions that I do (or don’t do) are the ways that people will see something different about me, and should make them want to know more; to be more ‘like me’. (Ephesians 4:29-32, Romans 12:2) And when they ask me how or what or why I am so Joyful, Loving, at Peace, then I can introduce them to Jesus (and they’ll see that He’s who I am trying to be like). 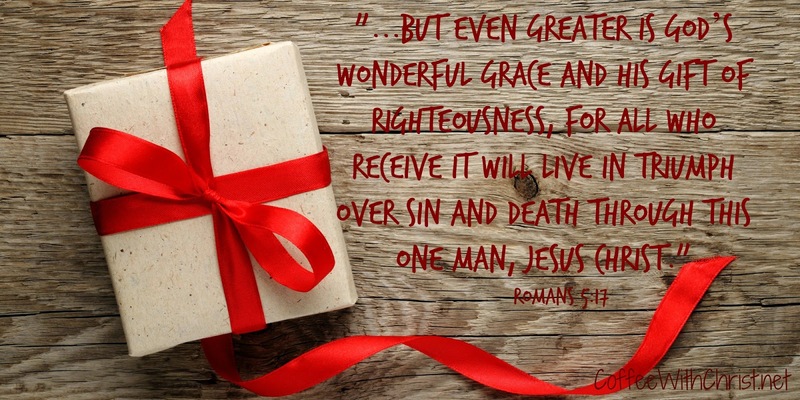 (Romans 8:2) My wishing them a “Merry Christmas” most likely isn’t going to initiate a conversation; and pitching a fit that they wished me the wrong holiday greeting certainly isn’t going to make them want to be ‘more like me’ (aka- like Christ). I think its things like this that make us Christians look bad. I think its things like this that makes the world hate our religion, our hypocrisy and our Christ. Ghandi stated it well: “I like your Christ. I do not like your Christians. Your Christians are so unlike your Christ.” Isn’t that the sad and painful truth? We Christians are not very like our Christ. When Jesus was ridiculed and accused during His trial before His crucifixion, He kept His mouth shut. He knew He wasn’t going to win them over by arguing with them. (Isaiah 53:5, 7; Mark 15:4-5, Luke 23:9) And neither will we. No unbeliever is going to want to be like us (Christ) when we’re constantly instigating disagreements about our beliefs and our Christ. The only way to sway them is to love them. And just a reminder that December 25, our Christmas, is not when Jesus was actually born. Christians (Roman Catholics) picked that date to offset the Pagan holiday ‘Yule Day’, during the winter solstice festivals, with hopes to bring awareness to Christ and take it away from secular and Pagan celebrations. So, maybe we should think twice before we accuse the unbelievers of trampling on and ruining ‘our’ holiday… Also, no one celebrated birthdays back then, only proud sinners are mentioned in Scripture as celebrating their birthdays (Pharoah: Genesis 40:20-22, and Herod: Mark 6:21-27). And we’re celebrating Jesus’ birth as a man, not as God… The Bible is clear about idolatry: don’t worship or idolize any other god; but also don’t make idols to worship as our God. (Deuteronomy 4:15-19; Deuteronomy 12:4, 32). And aren’t we idolizing the Christmas trees, the lights, the holly, the wreaths, Advent, presents, the greeting, the holiday itself when we put it before the whole purpose behind it: Jesus Christ (Love). So before we get our berries in a bunch over what holiday greeting we’re going to say and to accept; let’s remember what this season is about: Love. Yes, we need to keep Christ in Christmas: keep the love in the holiday. Celebrate Christmas by loving God and by loving others. (Matthew 22:37-39) Spread that cheer. I was frantic! The maroon wise man robe had gotten soaked when my church had performed a live nativity in the park and it had been thrown in a bag with several white costumes. Now all of the white costumes had red streaks every where they had touched the robe. In addition, due to the weather the bottoms of every costume was caked in clay mud. I wasn't sure I could get them all cleaned before our next performance and there definitely wasn't time to remake any of the white costumes if I couldn't. Yes, but they are still stained! So I packed them up and took them to the nativity. It was again a rainy, muddy night. Every costume ended up caked in clay mud again. But, no one noticed. And once the first presentation began, neither did I. It wasn't about how pretty things looked. God's message is for those of us who are dirty, imperfect, stained. He came to be born not in the house of a wealthy man, but in a stable, among the animals. He lived his life with those who got their hands dirty. His ministry served the untouchable (Matthew 8:2-3), the disliked (Mark 2:15), the outcasts (Mark 5:1-20, John 8:1-11, John 4:5-32). It wasn't a clean life, but it was beautiful. Not because of how it looked, but because of what it was - love. And that is what He asks from us in return. No extravagant, expensive, perfect gifts. He simply desires that we love Him, and that we share His love with others. (Mark 12:30-31) He isn't asking for perfection from you, He only asks that you serve Him in love, which means your best effort all the time. (Colossians 3:23) If you do, He will make it beautiful. He will use it to accomplish His perfect will. 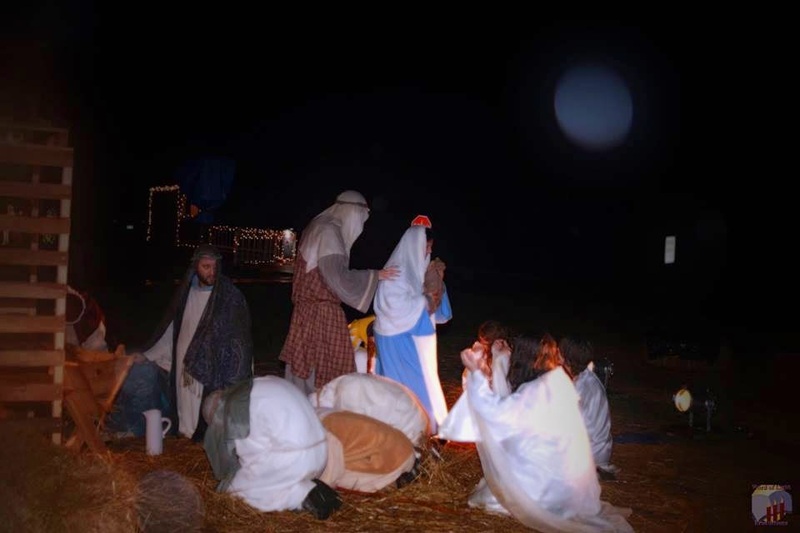 As for the Nativity, despite the pouring rain, many showed up to hear the story - and no one noticed a single stain. What is it that you believe? Most likely if you’re reading this blog, you believe in God. 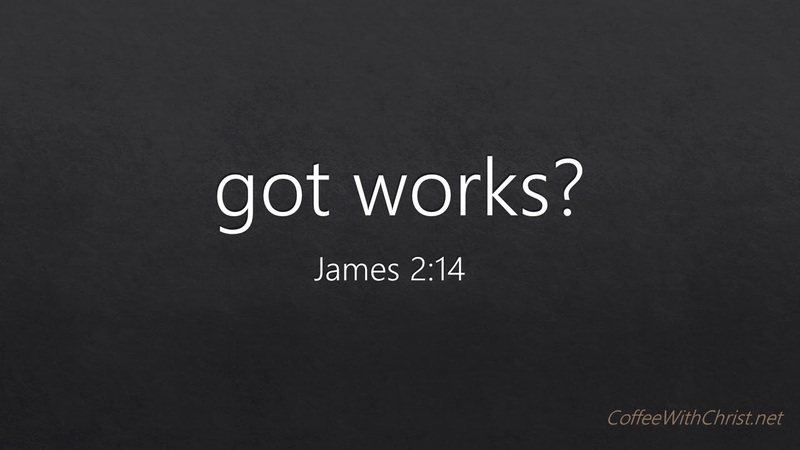 Good for you- but so does the devil (James 2:19)… So why do you believe? What is it about God that made you accept Him? And then what made/makes you stay with Him? I had an enthralling conversation with my ‘baby’ sister the other night during a holiday family visit. The rest of our family had gone to bed, and I’ve found this is when we’re truly honest. We discussed many Biblical topics, including our upbringing, our testimonies, our learnings and our life experiences. It was awesome. While we’re both from the same family, I’m sixteen years older than she, therefore we’ve had very different experiences growing up. I was the first born; the 'experiment'. She was the last one; the ‘third times a charm’… She was raised in church continually; went to a Bible college; and married a Christian… I was not and did not. She took numerous theological courses that tested her beliefs on controversial topics from the Bible. Her viewpoint was refreshing and enlightening. (And I will admit up front that she is more scholarly than I am in many topics.) I won’t go into our beliefs, opinions or thoughts, but what we determined was that Christians don’t agree on much. We have God’s Word, and we distort Scripture to back up what we want it to say. We take it out of context and use it to condemn others (including ‘our own kind’). It’s sad that we use His love letter to use against Him and His children. Our many denominations (over 34000 world-wide and more than 1200 in America) disagree on some major ideals; and some minor as well. We will argue with each other, talk down to each other, and shame each other because we can’t agree on even the tiniest detail. What is wrong with us? We are missing the whole point of Christianity: Love. What kind of love are we showing each other with these demeaning arguments? What kind of love are we showing Christ by picking apart everything He said? And does much of it even matter? Why waste time arguing over whether women can preach? Is baptism required to get into Heaven? Can you lose your Salvation? Are alcoholic beverages ‘allowed’? 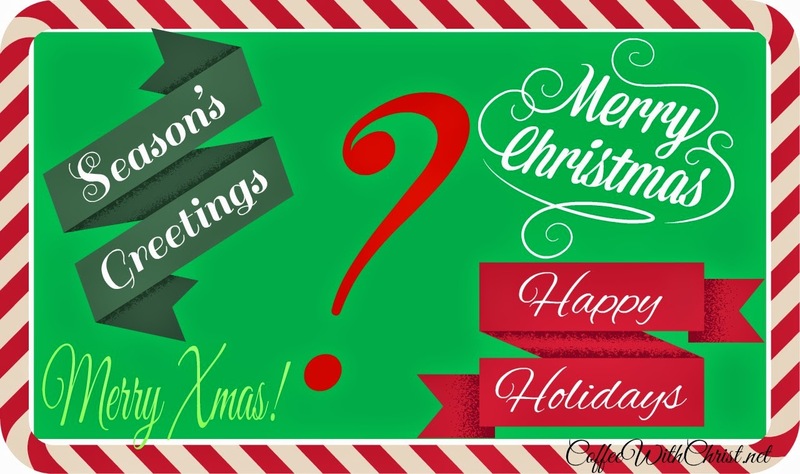 What date was Jesus born? Do all children go to Heaven when they die (and if so- what’s the ‘cut-off’ age)? Does God still ‘speak’ to people? Is the Rapture before or after the Tribulation? Are musical instruments or dancing allowed in Worship? Is divorce and remarriage allowed? Does hell really exist? What about the laying of hands and use of anointing oils; speaking in tongues… and the list goes on and on. I’m not saying these aren’t valid, important topics of discussion. What I’m saying is, at the end of the day, at the end of this life… how much of it will matter? Do you really think that our Loving God is going to condemn you to hell because you danced during a worship song? Or had a margarita with some friends? Or you weren’t dunked in water for a baptism? God knows our hearts. He knows the reason we do or don’t do things. He knows if we really believe and accept His sacrifice. He knows. He’s a God of second, third and so on chances… so why do we think these issues matter? Does the legalism really matter? If we, as Christians, can’t agree to love, regardless, despite, and in spite of our failures, sins, and disagreements, then we have nothing. (1 Corinthians 13:1-4) If we can’t agree to disagree on legalities, and work together to spread the Gospel, then we are going nowhere. What are even doing? If we can’t get along, then why would or should unbelievers even give us the time of day to hear us out? Let’s be honest, for the most part, these issues just don’t matter. All that matters is Jesus. God’s Book tells us everything we need to know. Does it still leave unanswered questions? Yes. Why? We’ll find out one day. (John 8:32) But possibly it’s so we can interpret some of it differently. 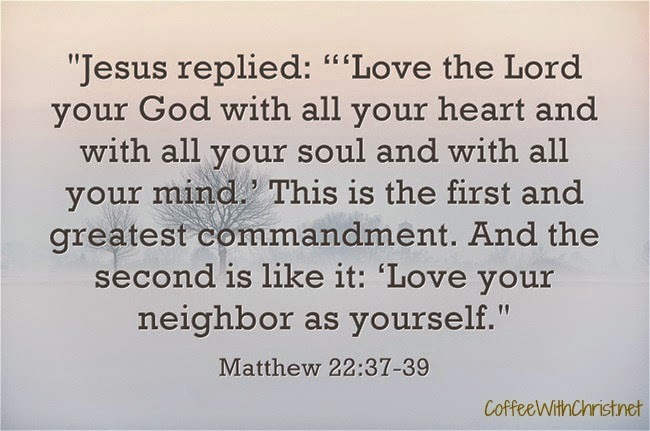 Maybe the lack of directness is so no one is alienated; to be all-encompassing… There are so many commandments and directives given to us in the Bible. And don’t so many naysayers complain about the ‘do this, don’t do that’ mentality of the ‘judgmental’ God? Maybe these uncertainties are left open so it’s not more added to the ‘checklist’ of things God ‘requires’ from us ‘in order’ to love us. Because He is a just God, yes; but He’s also a forgiving and loving God. 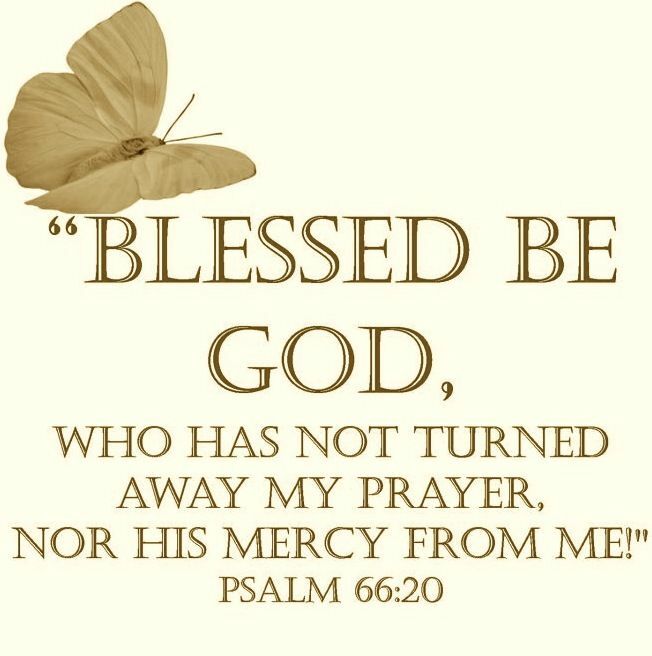 He is a God of mercy and grace. (Hebrews 4:16, 2 John 1:3) So, again, at the end of this life—how much of these issues really matter? Isn’t all that matters what’s in our hearts? (Galatians 5:5-6) Do we love Jesus? Let me set the scene: It was Sunday; I’d skipped Sunday school (not typical for me) (however I did watch two shows on Biblical teaching programs on TV in lieu). I went home after church and did some work (and was feeling pretty good about myself getting ahead of the week on work). I made/ate dinner, and went to a Sunday evening service (which I never do- my church doesn’t do Sunday evening service) with friends to hear my friend speak. Fast forward to twenty minutes after the service: I got stuck in traffic on the interstate for four hours due to a large accident involving multiple tractor trailer trucks and vehicles. After 45 minutes, it became very apparent I was going to be there for a while (when the big trucks around you shut down- you know you’re in for a wait). And I can testify that on an old smartphone, an hour goes quickly. But the ancient technology only exhausted me. Once again, my (lack of) patience just couldn’t withstand constant uploading, and shutting down. My phone case has been chewed by my dog, so certain letters don’t register well when I try to type. Apps don’t load quickly, if at all. And the battery drains extremely too quickly. (And side note, the charger in my car works when it wants, and can’t be touched or it quits). Typically I would have had my iPad with me for church- but I didn't know if the church I was visiting would be accepting of it, so I left it home. If I had it, I could’ve done a lot more (I had a long-running (mental) list of things I could’ve been doing if I’d had it). Well after the hour mark, and still no sight of any relief, my mind went into overdrive. I began talking to God. (I’d like to acknowledge that upon first stopping in the traffic I did say a prayer for those involved in the accident, as well as those responding to it; and thanked Him for allowing me to miss it). But at this point, I was all over the board. I kept thanking Him for His grace in me missing the accident; I prayed for those involved once again. I thanked Him for the warm weather (though it undoubtedly was the rain that contributed to this mess), it was almost 60 degrees, making sitting in a turned off, unheated car very bearable. As well as the fact that I had almost a full tank of gas ‘just in case’. I thanked Him for the fact that I didn’t have to potty. (Go ahead and laugh- but I typically can’t go an hour without a bathroom break- so this was a grand relief) (I’ve already gone 3 times during this blog post- but I have had a pot of coffee… (it is Coffee With Christ, you know))). I was grateful that I have a smartphone to help pass the time, slow and old as it is. Then once my ‘gratitude’ was out, my ‘attitude’ came out. I began questioning why He put me there in the first place, particularly after I had such a productive day (I was a ‘good’ girl that day- not being lazy…). I questioned why He didn’t insist that I bring my iPad- allowing me to work on other things and be more productive while stuck. I questioned why this had to happen at night, when I didn’t have a flashlight that I could at least read my Bible (even though I didn’t have my highlighter- which irritated me as well, since it’s usually in my Bible bag- but I’d just removed it the week prior, and hadn’t replaced it). I didn’t have any notepaper so I could write my blog, or at least take notes for it. The list went on and on. I knew I should be grateful (and I was- to a degree) that my situation wasn’t as bad as those in the accident, or as bad as it could’ve been. But, I was beginning to get irritated that I was even in this situation at all, and finding faults all along the way that kept picking at my growing frustration. Exasperation was really setting in at this point. Just what were the responders doing? Why didn’t they have a lane open yet? (As if I know anything about how cleanup from a bad accident should be or how long it should take). It was approaching my bedtime (yes, I have a bedtime), and I was increasingly growing cranky. And just when I thought I might snap- I saw a bunch of cars coming towards me. People ahead of me in traffic had turned around and come back (in the wrong direction) on the berm to the exit behind us. I’m not going to lie: my first thought was that they were idiots; they were going to cause another accident. But then I began contemplating how maybe that’s what I should do. If I could cross the traffic, I could turn around and head home. Others were doing it, how could it hurt, right? (I mean, I still had to stop at the grocery store to pick up stuff for my husband to make a sandwich to take with him hunting in the morning- which was just another added annoyance). But I couldn’t safely cross traffic to make my get-away. An anxiety attack was upon me after hour three had come and gone. I was really tired, finally had to go to the bathroom, and was beginning to feel nauseated. I noticed how dark it was with all of the vehicles’ lights shut off, and few stars in the sky. The darkness began to envelop me and fear settled into my already queasy stomach. Where was God right now? Why were any and all of us in this particular situation? I started pleading with Him to make this end. I realized how badly I just wanted to go home; to just be at home. And it started sinking in- I waste too much time doing ‘stuff’ and not enough time enjoying this life; God’s love letter to me personally. (And I certainly don’t spend enough time telling or showing others Christ’s love for them). I began praying fervently, aloud. I felt the anxiety release and a peace settle in. I felt a renewed ‘second wind’ stir within me, assuring me that I wouldn’t go insane sitting in this car for another hour or more. And, I admit this sounds fabricated, but this time, when I prayed for His mercy in this situation, a star twinkled brightly (when the sky was so dark previously), and suddenly the vehicles around me started their engines; we were about to be released from this turmoil! (And yet, part of me was still apprehensive that it was really over). I have the privilege of coordinating the collection of shoe boxes for Samaritan's Purse at my church. This is a bittersweet thing for me. On the one hand, seeing the congregation join together in the mission of providing children they have never met with toys, coloring books, and hygiene supplies that will open the door and allow those children to hear and experience the truth that Jesus loves them is amazing. In five years the number of shoe boxes we collect has almost doubled. But the flip side of this coin is the knowledge that there are children in this world that have never been shown this love, children who are devoid of hope, children that don't know or understand that what they experience in this world is not all there is, nor is it what it was supposed to be. Each year as I go through videos and testimonials of how these simple shoe boxes impact children and communities my heart breaks and I hug my own children a little tighter. As Stacie reminded us earlier this week, our calling doesn't have to be some "great" thing that everyone sees and recognizes as important. Our great thing can be as simple as packing a shoebox for a child in another country, recognizing that our neighbor with the new baby is feeling overwhelmed and cook a meal for her family one night. Maybe your calling is to notice the cashier that is scanning your items for your holiday meal isn't smiling and then really talking to him or her. There are so many in this world that don't feel hope, especially at this time of the year. 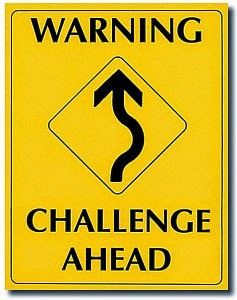 I want to challenge you to make a conscious effort for the next month or so to really SEE the people around you. Ask God to show you those who are hurting, who need to know they aren't alone, and then be His hands and feet. This is going to take some preparation on your part. Pray and ask God to show you how you should respond. I have a blogging friend that carries candy canes around with her at this time of year with a little note attached to them thanking the recipient for their service. She gives them to cashiers, buggy boys, nurses etc. Others have made "blessing bags". A ziplock bag full of items a homeless person might need such as hygiene items, restaurant gift cards etc. I don't know how God would like to use you, but I do know He DOES want to use you. All you have to do is open yourself up to that possibility, and allow God to move. We would love it if you shared some of your ideas and experiences in the comment section! God has a will and a plan for you. (Jeremiah 29:11) It may not be a great ministry to teach or preach. It may not even be hosting a Bible study. It may just be to support your spouse or friend that is being called to do one of these ‘great things’… (1 Samuel 14:7: ‘Jonathan’s armor bearer’) The point is: God has called you to action, in some shape, some form. He only asks that you relinquish control of your ‘life’ to Him. (Romans 12:1) All you have to do is all you can do. He never intended for you to be too busy, too tired, too overwhelmed to enjoy His fellowship and His love. (Our whole lives are because and about His Love.) He only intended for you to love Him, and give your life to Him. Are you willing to give Him all you have? It snowed here today. First time of the season. There wasn't any accumulation, but seeing those fluffy, fat snowflakes falling from the sky was a beautiful sight. You see, snowflakes always remind me of God. They amaze me. Did you know that although every snowflake crystal is unique, some say that there are not ever two snowflakes alike, each has six-fold radial symmetry? This means that from the center out you can conceivably fold a snowflake 6 ways and it will be identical on opposite sides. Rather amazing that God can create something so small, so alike others of its kind and yet so unique and different. 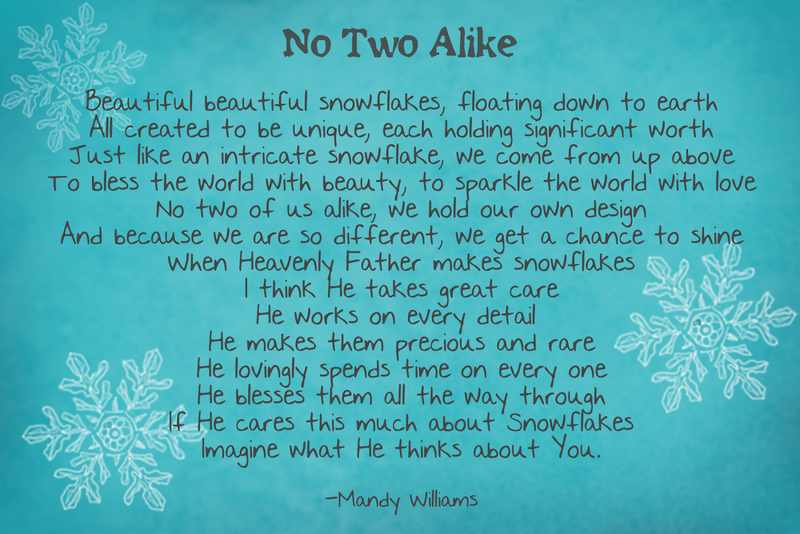 And yet, he not only did so with the snowflake, but with us as well. We are all created in his image. Most of the human race share similar lines of symmetry: 2 eyes, legs, ears, arms etc. You get the picture. And yet we are each unique. 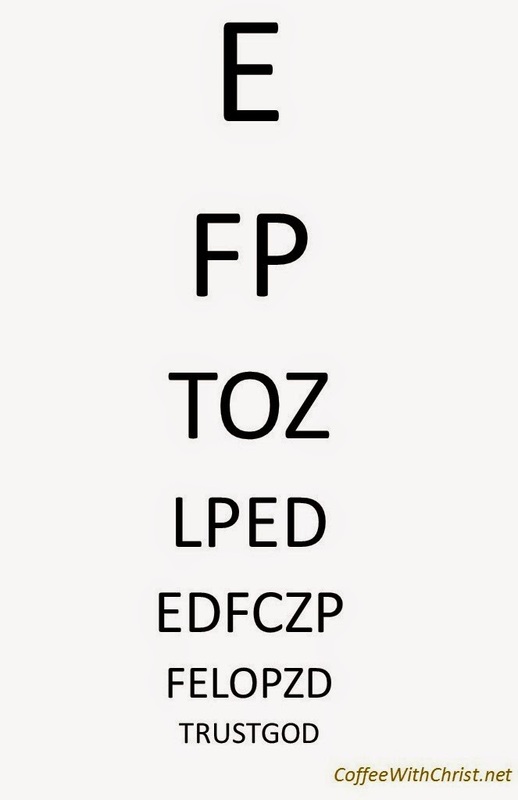 Not just in what we see; eye color, hair color, weight, height. but in our talents, our gifts. God has hand crafted each and every detail of what makes us "us" with a plan in mind. He knew whom we would come into contact with, how that would affect us on this journey; the scars we would form, the bonds we would make with others. God knew what form we would need to be molded into in order to best show His workmanship and that is the form He gave us. Then He breathed life into us and began our journey. While an individual snowflake is beautiful in and of itself, alone it travels to the ground and leaves very little evidence, if any, of it's existence. It is when snowflakes join together that we see their impact. This is why God calls us to not stop meeting with other believers (Hebrews 10:25), why He reminds us that we are a part of the body of Christ (1 Corinthians 12:12), and why each of us has a unique purpose within the body (Romans 12:4-5). God has gifted you with a special talent, something that sets you apart and yet allows you to fit into a custom niche in His body, perfectly designed for this time, this place. Do you know what yours is? Are you ready to join with others and blanket the world with His love? Oh my, it’s easy to hold on to our grievances, isn’t it? It’s easy to hang onto that bitterness of a friend or who wronged you; to worry over your finances and wonder how you’re going to afford groceries after all the bills get paid; to stress about the anxiety at your job; to fear the future for your children in this fallen world; to just wallow in your sadness, even depression. We hold onto all the misery in our lives…but why? God doesn’t promise that as a Christian we will have an easy go; but He doesn’t want us to be miserable in this life either. Why does God let bad things happen? (That’s a whole other message)- But possibly it’s in part to show us the glory of the good; to make us much more appreciative of all the good in our lives (and we all have tons to be thankful for). Possibly it’s to teach us a lesson; to bring us closer to Him; to use us to bring someone else to Him… the possibilities are endless. The fact is- God is God. He’s the only One that knows how our story will go, and eventually end. He is King over everything, including your problems; and as hard as it is to believe and understand at times, He truly does care about your problems, no matter how minute they may seem (in retrospect). If it concerns you, you concerns God. (That in itself should be humbling). But He tells us time and time again in His Word not to be consumed with worry in this world. (Psalm 46:10, Psalm 55:22, Matthew 11:28-30, 1 Peter 5:7) It’s not that He doesn’t care about you or your problems, it’s because He wants you to trust Him to take care of them. His shoulders are bigger than ours; allow Him to take the burdens from you. Release the tension to Him. Our true problem isn’t the problem itself. Our true problem is acknowledging that we can’t control it. It’s not that we don’t want to surrender the situation/issue to God to handle; it’s that we don’t want to surrender ourselves to God. (Luke 22:41-42) We don’t want to let go, and let God. Perhaps we’re afraid of the outcome. Perhaps we’re afraid of the effort. Perhaps we’re afraid of ourselves. It’s much easier to blame God for our problems and for not taking care of them when we don’t really give them to Him to deal with in the first place. Sure we may pray that He intercedes. But then we continue to stress, worry, and be consumed by the issue that we supposedly laid at His feet. It’s like we dropped it off for His care for a few hours, but stopped back by to pick it up and hold it for a bit; as if telling Him He’s not taking good enough care of it. Or we lay it down, but keep a finger on it, not truly letting go. (And yes, it sounds so much easier to say than to do. But if we can learn to do… there’s so much more we can do.) Give it to God, and see what He has to give you in return. He promises to take it, if you let Him. So let go, and let God. Recently my small group Bible study began a prolonged group prayer. God laid it on our hearts to join together and set aside a day every week to intentionally pray for our family and friends who don't have a relationship with Jesus. That isn't to say that we haven't been praying for our own family members often, but we are trusting God when he says that when two or more of us agree on something it will be done by our Father. (Matthew 18:19) While we realize that God will not take away the free will of those we are praying for and force them to surrender to Him, we also realize that our prayers can open doors, protect them from the devil's deceit, and soften their hearts to accept God's gift of salvation...but this can sometimes be a long process. This is where I struggle. 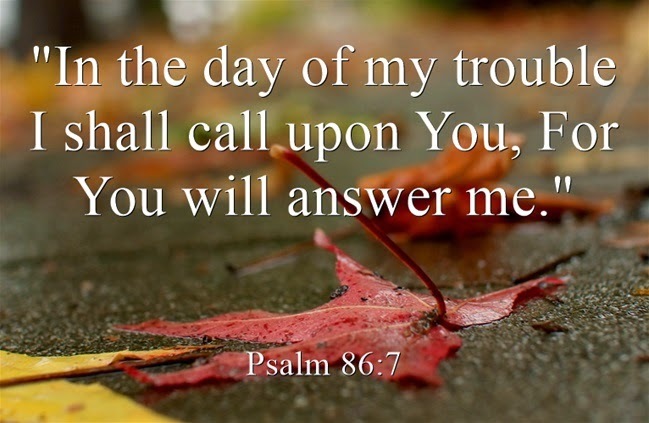 Intellectually I realize that God hears and answers prayer. (Psalm 65:2, Proverbs 15:29, Psalm 66:19-20, Mark 11:24, Matthew 21:22) But emotionally there are times that I question and doubt. I love my family members, and I want them to feel the overwhelming love that God has for them; I want them to understand the acceptance and comfort and joy that comes from a relationship with Him - and I want it NOW. We have been praying for months. I wish I had a dramatic story for you about how one of the people we prayed for had a revelation and heart change, I don't. That disheartens me sometimes. But God is good and I know that He hears and is doing His part. We have seen some of our loved ones step closer to God. We have seen Him reveal Himself in miraculous ways, especially AFTER being challenged ("The only way this will work is if God does it!"). We have seen His hand of protection. I know that He is orchestrating things in such a way that the hearts of those we love are being touched by His loving kindness. So, while I may struggle with His timing, I continue to pray without ceasing. After all, Augustine's mother prayed for him to know God for 32 years before he finally accepted Jesus' gift. And Augustine went on to spend the next 44 years of his life in service, becoming one of the most influential writers concerning God since the apostles. Who knows what God has in store for those we are praying for now! To love God is to put His Will above your own selfish desires. You realize that this life and everything it has to offer is nothing compared to the life Jesus died for to give you. And in return you want to tell everyone about Him and His sacrifices. You want to be like Christ. This is God's Will for you; for all of us. We're His servants. (John 12:26; 1 Corinthians 4:1-2; Galatians 5:13; Ephesians 2:10; 2 Timothy 2:15) We each have our own individual work to do for Him; a calling so to speak. (Jeremiah 29:11; Romans 12:4; 1 Corinthians 1:26-27; Ephesians 4:1-4; 2 Thessalonians 1:11-12; 2 Peter 1:10) Have you figured out what yours is yet? Maybe it's to join an overseas mission; or assist at a homeless shelter; or teach a Bible study; or write a blog; or take dinner to your neighbors; or maybe it's just to honor your spouse so they see God through you. Nothing is too great or too small to be done for Him. (Luke 1:37) It may seem overwhelming to think He's trusting you with His children; telling His story. But don't worry, he's got your back. 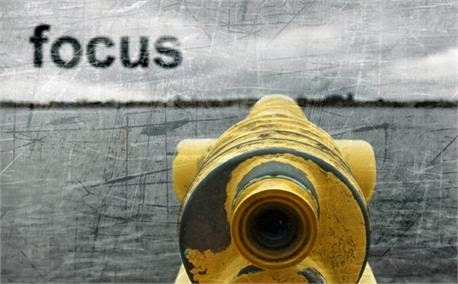 (Hebrews 13:5) He's not going to call you to do anything He won't equip you with tools to help you with. (Philippians 4:19) (And don't fret too much over the possibilities, because the chances of Him sending you on an overseas mission without 'training' you first at home isn't likely.) 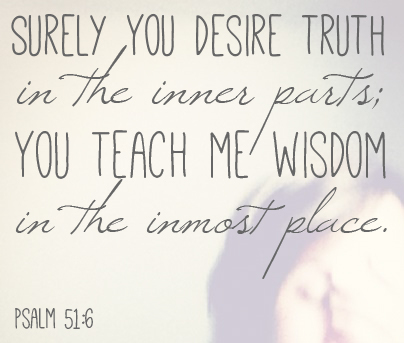 The only prerequisite He asks of you is to be willing, with an obedient heart. (Isaiah 1:19) We have to be open for the grand possibilities of His Own mission: to save the world (again); at whatever the cost be to us. Are you seeking His will for you? Are you asking Him to show you? 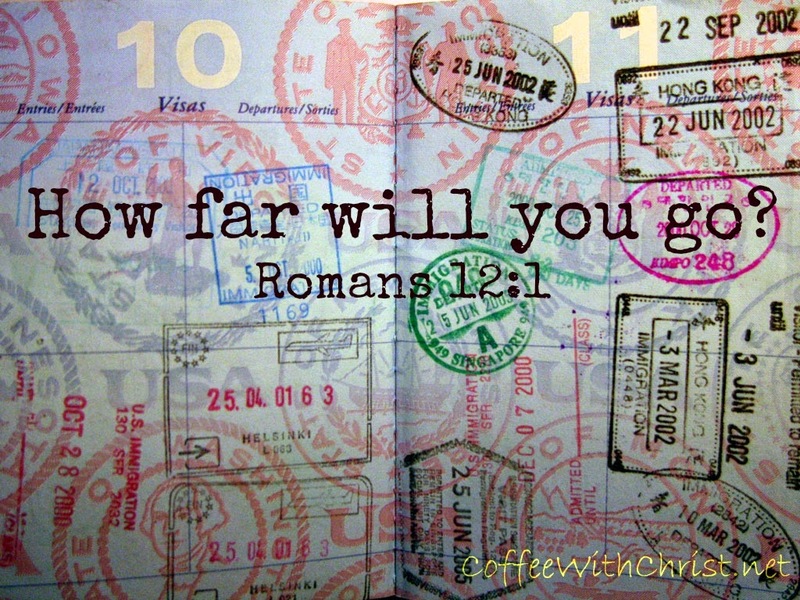 There’s a whole world out there that needs you; that needs Him… What are you waiting for? Ever had one of those days where every thing just seems to go wrong? Your alarm doesn't go off, the coffee filter falls over and you end up with a carafe full of grounds (gasp! ), can't find the car keys and when you finally do you realize that you are out of gas. And that is just the beginning of the day! I admit, I have had a few days like this this past week, and on those days it isn't easy staying true to Ephesians 4:29. In my personal study time this week, God showed me something that made me step back and reevaluate. 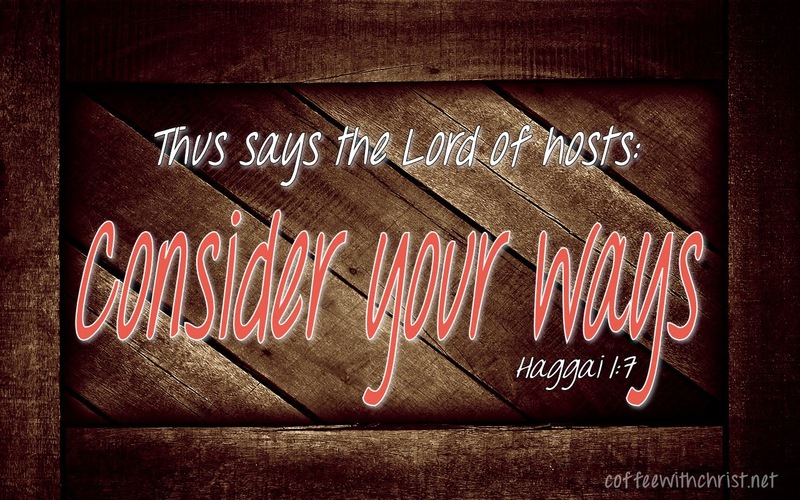 I was reading Haggai, and I also must admit that I had to look up who this prophet was. Apparently he was prophesying during a time in Jewish history that should have been wonderful for them. They had been given a decree from the king, Cyrus, allowing them to return to Jerusalem and rebuild the temple. All of the things that had been stolen from the temple had be promised to them upon its completion and the king agreed to finance the rebuilding. What a sweet deal, right? We aren't much different. Oh, it is easy to read these stories in the Bible and shake our head in disbelief about how they are again not doing what they are supposed to. To wonder how they seem to miss what seems so obvious to us as the reader. But if you had to step back and read your own life story, don't you think you might have the same thoughts? Now I'm not going to say that every time you don't get that raise at work, or your coffee gets some grounds in it that it is because you aren't following through on God's will, but I will say, perhaps you should stop and take a moment to consider the possibility. 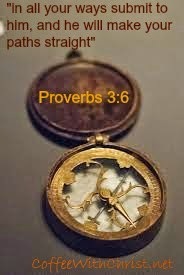 So when things start to fall apart, consider your ways.... are you spending time in His word? Are you spending time talking with Him? Are you listening for Him? Are you about His business? If you can answer yes to these, then keep on the path you are on. Push through the obstacles and know that they can only make you stronger. But if you answered no, perhaps He is trying to reach you and help you to see the truth. To say that you have faith is good. To show that you have faith is better. The truth is, believing in God doesn’t necessarily make you a good Christian. Even the devil believes in God! (James 2:19). It’s a little humbling (and terrifying) to think that believing in God makes you no better than the devil. But that’s the reality. Granted, the devil may be acting against God intentionally, but your inactions for God is in essences an action against Him. No action is an action. Not speaking is speaking. There are too many people in the Bible to mention that acted on their faith (Noah, Abraham, Moses, Paul…) (There’s even an entire chapter of Hebrews (Hebrews 11) devoted to ‘great examples of faith’, and they all acted…- read it- they all start out with ‘It was by faith that (insert name) that [verb] (verb: word indicating action or state)… Abraham: you know the story. He left his home without knowing where he was going, and then lived there like a foreigner- all by faith. (Genesis 15:6) James shows that Abraham was shown to be ‘right with God’ for what he did. Paul shows that Abraham was shown to be ‘right with God’ because of his faith. Did you catch that? The verses don’t contradict each other- they complement each other: Abraham was counted ‘righteous’ for what he did because he believed. (It’s probably good to note that our actions will not determine our salvation- but our faith will (this is an entirely separate message): (Romans 3:28)). 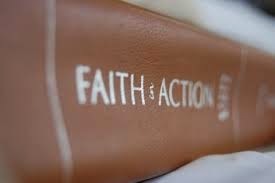 It’s also important to reiterate that not taking action, is in itself, taking action. By not helping God (aka not doing for Him), you are hurting Him (aka doing for the devil) (John 8:44). Jesus reprimanded the Pharisees because they followed the law (they tithed) BUT they didn’t follow the ‘important aspects of the law’: justice, mercy and faith. (Okay, so you don’t think you’re as ‘important’ as a Pharisee was back then… do you think you’re more important than a fig tree?) (Matthew 21:19, Mark 11:13-14) The fig tree looked good; it had promise to be fruitful, but upon closer inspection, it was inactive (hadn’t produced fruit). WE are the symbolic fig tree. We choose to produce fruit, or be dormant. Jesus cursed the fig tree for not producing fruit. And we’re more important than the actual fig tree…(if we’re more valuable to Him than birds (Matthew 6:26), we’re more valuable to Him than a fig tree). We eat a lot of apples in my house. They are a quick treat, portable, and yummy. My youngest daughter particularly enjoys Golden Delicious apples thanks to her discovery that they were originally discovered in our home state. As for me, as long as they are crispy, crunchy and juicy - I'm good. What I had thought was going to be a sweet treat was actually rotting from the inside out. 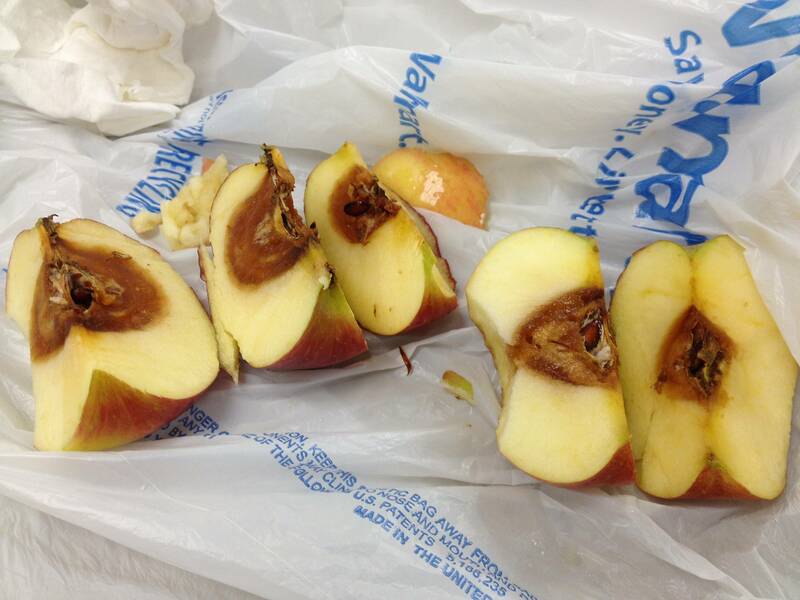 I'll be honest, I don't really know what causes this in fruit. But I do know that fruit isn't the only thing that can appear beautiful on the outside and yet be full of decay on the inside. Mark 7:21-23 tells us that the things that are evil - pride, foolishness, covetousness, deceit etc - come from within us. More often than not we don't wear a big sign that announces these things about ourselves. Instead we bury those things deep within us and try to look beautiful and pure on the outside. Sometimes we hide the decay in ourselves so well that even we don't even realize it is there. So the next time things get rough, and if you are following Jesus they WILL get rough, (read our post earlier this week for that lesson!) take a few moments in prayer and ask God if perhaps this is an attempt to reveal an aspect of yourself that isn't pleasing to God, a part of yourself that you may not have even realized was there. Trials have a habit of bringing out the worst in us, actions that we may never have taken or thought otherwise. Then, if God has revealed this is the case, start working to excise those decayed parts. But you can't stop with that. An empty spot begs to be filled. Fill those parts of yourself with God. I'll leave you with the same advice Paul gave the Philippians, "brothers and sisters, whatever is true, whatever is noble, whatever is right, whatever is pure, whatever is lovely, whatever is admirable--if anything is excellent or praiseworthy--think about such things." (Philippians 4:8) For when we fill ourselves with these things, we crowd out the decay. Now, that being said- we’ve all had trials we’ve had to face. Some horrific, some just tedious; ranging from losing a child, to losing your car keys. Why does God allow these things to happen; or even give them to you? There are multiple reasons He puts these into our lives. One of the biggest, realest reasons is to grow His relationship with you, and in essence grow you in Him. Think about it- when you hit rock bottom, what do you do? You lean on Him. You look to the only place you can—up. You pray; you seek Him; you end up relying on Him, because quite frankly, you have nothing else to lose. And when you finally reach out to Him in your trial, He grasps for your right hand. (Isaiah 41:13) When you have nothing but God, you finally realize that God is all you need. And that’s when things finally start looking up. Not only should you expect trials, but you should ‘ask’ for them (Luke 9:23-24) and be grateful when they come. (Ephesians 5:20, 1 Thessalonians 5:18, James 1:2) Seems pretty ridiculous doesn’t it? Almost masochistic. Except, when you recall that Jesus died a horrific death; took the blame for our sins as an innocent man; then it seems honorable and heroic. As a Christian, we should hope to be faced with such persecution to honor our God and Savior. I am absolutely not saying that we should hope to be killed for our religion; I am saying that how we handle our persecution is the hope we have to honor Him. God doesn’t want us to suffer; but He draws us closer when we do. (Psalm 34:18) And isn’t that worth the pain? He’s not saying that He wants you to be grateful and enjoy the pain—He’s saying you should thank Him for whatever this trial is about to show you; because it will show you something. It will show you a sin you’re fighting, but accepting. It will show you where you’re failing at His service. But above all, it will show you His love. The love He has for you that sent His Son to die on a tree. The love He wants from you in return. When thinking of Jesus on the cross, is it really so hard to accept that your ‘mini’ trial is nothing in comparison? Wrong question. The fact is- God is in the same place as He always is: with you. If you feel like He’s vanished- you’re the one who left. 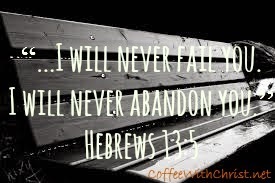 He promised never to leave you nor forsake you. (Hebrews 13:5) If you feel alone—you better start asking yourself where you wandered off to…and why. Everything little thing God does to and for you is for a reason. (Jeremiah 29:11) There’s a purpose to His will. There’s meaning to His Words. (2 Timothy 3:16) He speaks to you because… He loves you. Instead of trying so hard to refute or refuse His offering, make the easy choice to be excited about His gift to you. Because every little thing He gives you is a gift. (Philippians 4:19) Are you willing to take the time to acknowledge, accept and act on that gift? (Philippians 2:13) Or are you going to ignore His presence and continue to wonder where He is? As a Christian, we acknowledge Christ as our Savior; and it is for Him we want to live and love. We often think we need to have everything right in order for Him to accept us. And we think that when we mess up, He’s shaking His head, or turning His back on us in disappointment. If we only truly understood what His love entails. He loves us, regardless of our sins, despite our failures, maybe even because of our imperfections, period. You see, He knows we’re not perfect. He knew that before we were born, and yet He made us. (Psalm 139:16, Jeremiah 1:5) He knows we will fail (Romans 3:10); but it’s because we try that keeps Him with us. He knows our sins are great; but it is His love that is greater. And it is because of that love that He continues down our path with us. The path He designed for us, each valley and peak; each clear paved and rocky road... The path He chooses for us, to go with Him, yet He goes before us, and He is always beside us, holding our right hand (Deuteronomy 31:8, Psalm 139:10, Isaiah 41:13). And sometimes He carries us (Deuteronomy 1:31, Isaiah 46:4) because we just can’t seem to take another step (whether out of exhaustion, fear, illness, doubt…)—He’s there; always. And if we knew that, truly understood that partnership, then we wouldn’t ever doubt His way; His will for us. We wouldn’t question Him when He tells us to go left instead of right. We wouldn’t question when He tells us to walk instead of swim. We wouldn’t question when He tells us to let go instead of holding on tight. He knows what His plan is for us (Jeremiah 29:11). Why do we insist on thinking we know better? Or, that He should share any part of it with us? It’s a trust that we must learn to accept. As a child trusts his parents to provide and care for him, we must trust our Father to provide and care for us. The only difference is our Father is perfect (Psalm 18:30) (and let’s face, while all parents strive for perfection, none ever succeed), so we can trust that He’s never going to steer us wrong. So again, why can’t we trust Him? Why do we think that to do what His will is for us, we need to know what it is first? Obviously, we need some instructions; we can’t fly by the seat of our pants the whole time (though, sometimes, that flying is pure trusting). God does tell us His plan; in increments. He whispers a direction in the wind. He shows us confirmation in a song, or a verse, or through a friend. He leaves us hints to follow—only we’re too oblivious to notice them most of the time. He drops bread crumbs, but we’re too busy looking around. He writes it in the sky, yet we never look up. He puts it on paper, but we never open the Book. He places it in our hearts, but we won’t tear down the wall.